Visual Art Exhibitions at the LACA! Main Gallery: Mary Case exhibit. Performance Hall Gallery: Pentwater Public Schools student exhibit. 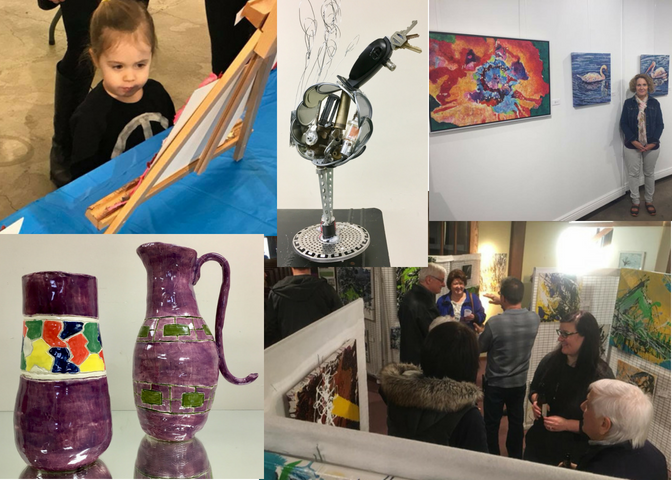 Main Gallery & Performance Hall Gallery: Ludington Public Schools student exhibit. Main Gallery: Todd Reed Retrospective, (Reception June 7). Performance Hall Gallery: Milo Beman exhibit. Main Gallery: Justin David Gustafson exhibit. Performance Hall Gallery: Barb Forgue exhibit. Main Gallery & Performance Hall Gallery: LACA Members Only exhibit. Main Gallery: West Shore Arf Fair/ dog inspired artwork. Main Gallery: Invitational juried fiber art exhibit. The Arts Center is open Tuesdays, Wednesdays, Thursdays & Fridays from 11-4 and Saturdays from 12-3. November- G2S student exhibit "Water Works"
September-October- Cuba: Because I Could, photography exhibition by Rachel Brock. June-July- Exhibit by Elaine Earl, 92-year-old Ludington artist. March - Cuba! Photography by three Northwest Michigan photographers. January-February - Works of Nine Local Artists. February-March - Drawing Conclusions Exhibit featuring original comic book, graphic novel, fantasy, and cartoon-style art and illustrations. August - Character Creature Features - Collaboration between 3rd and 7th grade students at Pentwater Schools. Art Teacher Carrie Jeruzal. May - O.J. DeJonge Middle School Student Art Exhibit - featuring a collection of a variety of different media that students study at OJ DeJonge, influenced by artists such as Georgia O'Keeffe, Frida Kahlo, and Eric Carl and art movements such as Impressionism, Fauvism, Expressionism and Cubism. Jen McWilliams-Knee - Middle School Art Teacher. 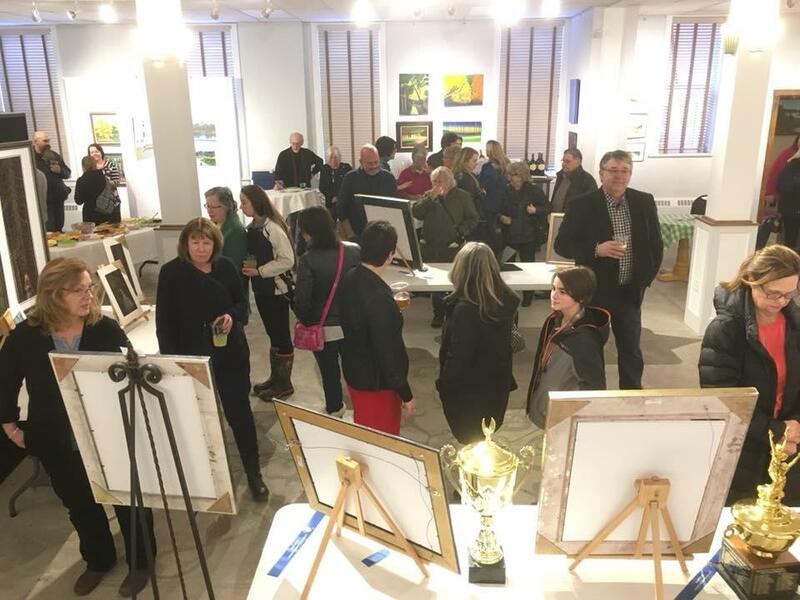 April - Earth Day Celebration - Call to Artist Exhibit featuring works from over 30 Michigan artists that explore the natural world, share an environmental message and propose new ways to co-exist with the environment. March - Emerald Expressions Exhibition - featuring original Ireland Travelogue photography by Rob & Becky Alway. December 2014-February 2015 - Maritime Heritage Ship and Lighthouse Exhibit - Port of Ludington Maritime Museum Celebration. November - Type 56 and the Invisible Wounds of War - An exhibition of photo collages depicting images from a Vietnam veteran's nightmares of war. October - Foster Elementary Kids Create! - An Exhibit of Original Art Created by Foster Elementary 3rd-5th grade students - Scott Bentz Art Teacher. September - National Parks Road Trip Photography Exhibit - featuring original photography by Karen West. May-June - Carolyn Damstra Exhibit featuring Carolyn's recent paintings of the Leelanau PenninsulaShore Community College and at the KIA in Kalamazoo. She has used many media and enjoyed trying new ones over the course of her longtime artistic career. She describes that she did portraits in charcoal or pastel at art shows for several years and that "Faces are my favorite subject. I often saw a face that I felt I just had to paint. " Elaine, at age 92, resides at Longfellow Towers and is a participant in the Arts Center's Visual Arts Critique Group.